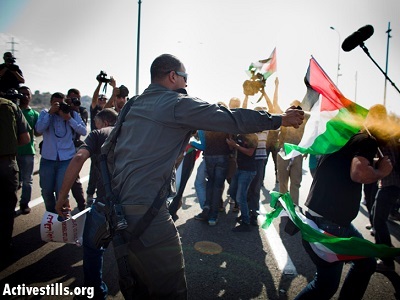 There are many opportunists who are ready to pounce upon the current mobilization in Palestine. Saeb Erekat is an enigmatic character. Despite minimal popularity among Palestinians, he is omnipresent, appears regularly on television and speaks with the moral authority of an accomplished leader whose legacy is rife with accolades and an astute, unwavering vision. When Palestinians were polled by the Jerusalem Media and Communications Center (JMCC) in August, just prior to the current Intifada, only 3 percent approved of his leadership – compared with the still meagre approval rating of 16 percent of his boss, Palestinian Authority President, Mahmoud Abbas. Even those who are often cast as alternative leaders – Fatah leader, Marwan Barghouti, and former Gaza-based Hamas Government Prime Minister, Ismail Haniyeh – were nowhere near popular, achieving 10.5 and 9.8 percent of the vote respectively. It was as if Palestinians were telling us and their traditional leaderships, in particular, that they are fed up with the old rhetoric, the constant let-downs, the unabashed corruption and the very culture of defeat that has permeated the Palestinian political elite for an entire generation. 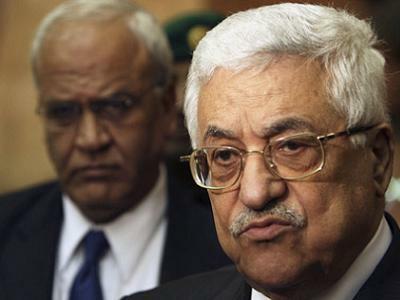 Abbas has operated his political office on the assumption that, so long as Palestinians received their monthly salaries and are content with his empty promises and occasional threats – of resigning, resisting against Israel, lobbing bombshell speeches at the UN, etc. – then no one is likely to challenge his reign in Areas A and B – tiny cantons within the Israeli-occupied West Bank and Jerusalem. Erekat has been the primary enabler of that PA charade, for he is the ‘chief negotiator’, whose protracted term in that precarious post has negotiated nothing of value for the Palestinians. In 2002, I followed the Israeli invasion of the supposedly self-autonomous PA areas in the West Bank, when Erekat made an appeal on Al-Jazeera Arabic television to the Israeli Government to exercise sanity and common sense. The entire display of the PA leadership was beyond tragic, proof that it had no real authority of its own and no control over the events on the ground as Palestinian fighters battled the re-invading Israeli army. He appealed to Israel as if he felt genuinely betrayed by its military onslaught. When Al Jazeera released thousands of secret documents in January 2011, revealing discussions behind closed doors between Israeli and Palestinian negotiators, Erekat held thelion’s share of blame. With a clear mandate from his superiors, he appeared uninterested in many Palestinian political aspirations, including Palestinian sovereignty in occupied East Jerusalem – the spark behind the current and previous Intifadas. He offered Israel the “biggest Yerushalaim in Jewish history, symbolic number of refugees return, demilitarised state… what more can I give?” he was quoted in the Palestine Papers. What is particularly interesting about Erekat, and equally applicable to most PA leaders and officials, is that, no matter how devastating their roles – which they continue to play out, whether through political incompetence or outright corruption – they do not seem to go away. They may change position, hover around the same circle of failed leadership, but they tend to resurface and repeatedly regurgitate the same old language, clichés, empty threats and promises. After retreating for a few weeks as Intifada youth took to the streets to protest the Israeli occupation, PA spokespersons, including Erekat, are now back on the scene, speaking of squandered opportunities for peace, two states and the entire inept discourse, as if peace was ever, indeed, at hand, and if the so-called ‘two state solution’ was ever a solution. In a recent interview with Al-Jazeera’s ‘UpFront’, Erekat warned that the PA was on the verge of shutting down, as if the very existence of the PA was a virtue in itself. Established in 1994 as a transitional political body that would guide the process of Palestinian independence, the PA morphed to become a security arm that served as a first line of defense for the Israeli army, in addition to guarding its own interests. 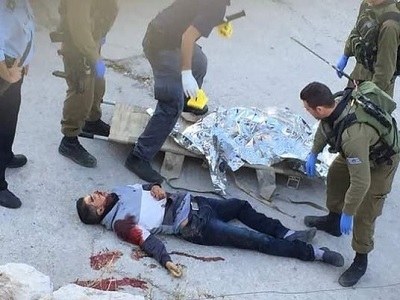 Billions of dollars later, and after intensive military training provided by the US, the UK, Italy, and other western and ‘moderate’ Arab countries, the PA security forces have done a splendid job of cracking down on any dissent among Palestinians. So why is Erekat warning of the PA collapse as if the sorry leadership in Ramallah is the center of everything that Palestinians have ever aspired for? “Soon enough Netanyahu will find himself the only [one] responsible between the River Jordan and the Mediterranean because he is destroying the Palestinian Authority,” Erekat said. So what? According to the Geneva Conventions which designate Israel as the Occupying Power, Netanyahu is, indeed, responsible for the welfare, security and well-being of the occupied Palestinians, until a just political solution is assured and enforced by the international community. Using the same tactic which, along with Abbas and other PA officials, was utilized repeatedly in the past, he vowed that “soon, very soon, you’re going to hear some decisions” about disbanding the PA. It matters little what Erekat and his Ramallah circle determine as the proper course of action. Not only has his language become obsolete and his references irrelevant, but the entire Oslo ‘peace process’ travesty – which delivered nothing but more illegal settlements and military torment – was dead a long time ago. In fact, it was the Al-Aqsa Intifada in 2000 that killed Oslo and the ten years between the end of that uprising and the advent of a new one were filled with mere haggling and desperate attempts at breathing life into a ‘process’ that made some corrupt Palestinians a whole lot richer. The hope is that the current Intifada will cleanse the residue of that dead process, and surpass the PA altogether, not through acts of violence and vengeance, but rather through the establishment of a new leadership manned by good women and men who are born in the heart of Palestinian Resistance, in the West Bank, Gaza and Jerusalem. The new leadership cannot be imposed from above, or achieved after deliberation with ‘moderate’ Arabs, but selected through an organic, grassroots process that is blind to factional allegiances, religion, gender and family lineage. Palestinian Intifadas do not liberate land but liberate people who assume their role in the struggle for national liberation. The 1936 Intifada liberated the fellahin peasants from the confines of the dominant clans and their allegiances to Arab regimes so that they could face up to the British and the Zionists; the 1987 Stone Intifada liberated the people from the grip of Tunisia-based factions, thus the establishment of the Unified National Leadership of the Intifada along with Hamas; the 2000 Intifada was a thwarted attempt at escaping the sins of Oslo and its empowered elite. For the current Intifada to achieve a degree of initial success, it must find a way to entirely dismiss those who took it upon themselves to negotiate Palestinian rights and to enrich themselves at the expense of the impoverished and oppressed Palestinian people. If the Intifada is to be true to itself, it must seek to break not just the hegemony over the Palestinian political discourse which is unfairly championed by Erekat and his peers, but to break political boundaries as well, uniting all Palestinians around a whole new political agenda. There are many opportunists who are ready to pounce upon the current mobilization in Palestine, to use the people’s sacrifices as they see fit and, ultimately, return to the status quo as if no blood has been shed and no oppression still in place. I think not, Mr. Erekat. Twenty years is long enough to show that those who have taken part in their people’s oppression, cannot possibly be the advocates of their people’s freedom. – Dr. Ramzy Baroud has been writing about the Middle East for over 20 years. He is an internationally-syndicated columnist, a media consultant, an author of several books and the founder of PalestineChronicle.com. His books include ‘Searching Jenin’, ‘The Second Palestinian Intifada’ and his latest ‘My Father Was a Freedom Fighter: Gaza’s Untold Story’.